Tane to oil is important for dewaxing but I think that’s because the butane just allows for the solution to pass through the filter, but as long as you get cold enough the waxes will precipitate anyways. I think your misunderstanding why I’m suggesting running with warm solvent. I’m trying to yield more extract from a given amount of solvent, not trying to yield more extract from a given amount of biomass. If anyone is interested in sharing some data with the community, preparing a TLC plate would be relatively easy and would give use some insight into what colors are being removed by what adsorbents. Less than 2 months and now more than the strong in post? WOW… When y’all guys get on it, holy crap! Well maybe not I need to source the tlc plates and the idea is to coat them in each media and use an non polar solvent since hydrocarbons our solvent of voice correct.m? I think the difference was @Otscc gave the community his tek and even though waxplug showed us this is possible. Most of the experimenting was done in house(forum). Shout out to all you hard workers continually trying to move the community forward. Its really refreshing to be around so many like minded people. I think after the otscc and this thread…a lot of people if they havent; been taking a look here. Its crazy within a year…This place seems to be the leader in cannabis/hemp based concentrate experiments other than IG. You all inspire me daily…Thanks! I think the idea is to just use silica gel as the media on the TLC plates and then yes I think we can just put them in a Mason jar with a little butane/extract solution and see what colors result from each sample. This would require you to test one adsorbent at a time and make a TLC plate for each individual sample to really have useable data and also to have a TLC plate to show the sample of the bho before any treatments for comparison. Going to be very tedious. 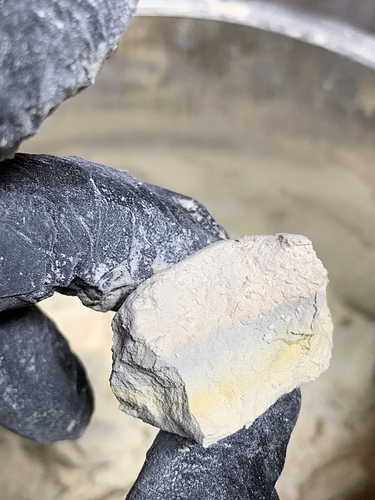 It’s also a good chance to be able to see which color compounds move through the silica gel at a faster rate than others in our exact situation since the TLC plates we’ll be using the same silica gel as what’s used in the color filter, and the same solvent and solute. I want to try packing a 1.5"x12" column with just silica gel to test just the silica gels effectiveness as color separation but dont know if it’s a good use of the silica gel compared to how everyone else is using the powder, if some colors move extremely slow in the silica gel then it may be worth looking into a small diameter long column for the silica portion. Also if your making a TLC plate I think a uv light will help u spot hidden colors. I am actullu useing the cheapest grade of magsil in the form of fry powder. I wouldnt dare use the expensive pr magsil naughty naughty! You can, and should, substitute heptane for hexane whenever possible. The alkanes operate very similarly in many functions and even though the paper I was reading said hexane you can mentally swap in C7. Not saying the method is something you would actually want to do by hand, but the idea is to use a Heptane:ACN system as they are immiscible. The fats are soluble in both compounds so may disassociate from heptane a bit when passing through a column of MagSil. As for pesticide remediation being a lost cause because of the chemicals used…thats part of the game. Heptane can be handled in a way that is safe but there are considerations like; proper mask and goggles, fire safety, and proper disposal. I am currently working on a large scale flash system that will do pretty much every step in a closed system. Was that all the same powder? Could this tek be applied to CO2 extractions? Yes, and encourage anyone to try. Activated carbon is sometimes used this way but clays would likely outperform.